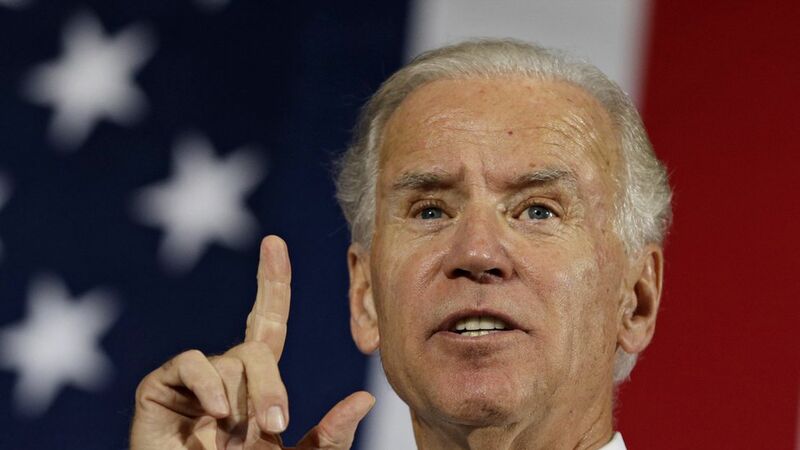 Biden on 2020: "I'm not going to decide not to run"
Joe Biden, who's been coy about a potential presidential bid since leaving the Obama administration, admitted to Vanity Fair's David Kamp that he's not ruling out a 2020 bid. Is running a real possibility? Biden, who is turning 75 in November and will be 78 shortly after the next presidential election, would be the oldest first-term president in U.S. history if he decides to run. He also recognizes that doing so would take a toll on his family, especially after losing their son Beau to cancer in 2015. "It's hard. You don't run by yourself. Your family is totally implicated. They become news; they become fodder," he told Kamp. However, Biden's wife Jill explained that the family has focused on moving forward, and said she frequently asks herself: "What would Beau want Joe to do? You can probably answer that question." Asked if she ever feels inclined to tell Joe Biden to slow down and "enjoy life" she said, "Do you understand what 'Enjoy life' means for Joe?" hinting that the potential for a 2020 run is a very real possibility. As Kamp points out, Biden is also "behaving very much like a probable candidate." He formed a political-action committee in June and has written several opinion pieces regarding President Trump and his misrepresentation of American values.